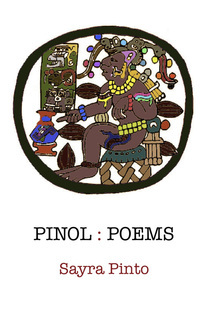 Author bio: Sayra Pinto is a poet, scholar and activist dedicated to creative change. She is the author of Vatolandia and her work was included in the indigenous anthology, I Was Indian. She has a B.A. from Middlebury College, an M.F.A. from Goddard College, and is currently pursuing her Ph.D. at Union Institute & University. She lives outside Washington, DC with her partner, triplet girls and two spoiled dogs.